The state’s largest native organization “strongly” opposes Trump’s court pick — and it has the Republican senator’s ear. 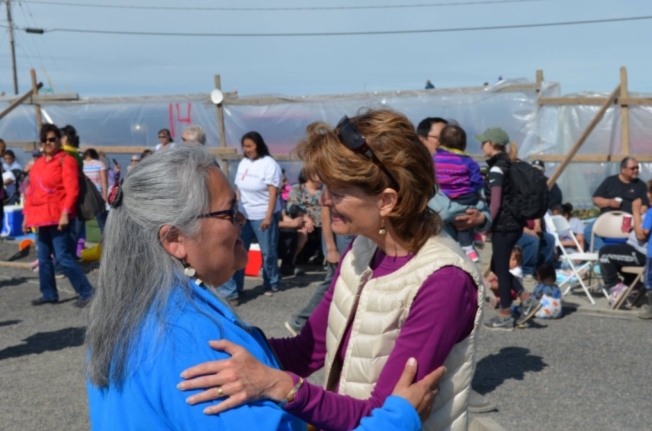 Sen. Lisa Murkowski (R-Alaska) was already under pressure from Alaska Natives to oppose Supreme Court nominee Brett Kavanaugh. It just got more serious. The Alaska Federation of Natives ― a massive statewide Native-American organization that represents more than 20 percent of the state’s entire population ― went from taking no official stance on Kavanaugh to announcing its opposition on Sept. 12. On top of that, the Alaska House Bush Caucus, a group of state legislators focused on tribal and rural representation, wrote to Murkowski and Sen. Dan Sullivan (R-Alaska) urging them to vote no. “It has become clear that his confirmation would threaten Alaskans’ access to healthcare, women’s reproductive rights, and the United States’ special trust relationship with federally recognized tribes,” said the Alaska lawmakers. 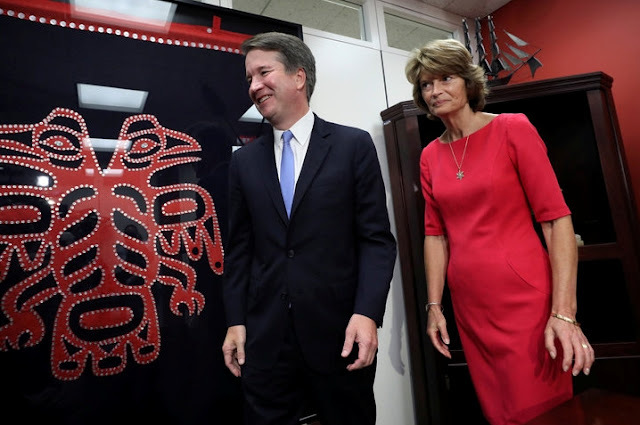 Julie Kitka, the president of AFN, told HuffPost she’s been meeting with Murkowski one-on-one throughout Kavanaugh’s confirmation process, providing the senator with detailed information on why tribal communities are so concerned. She expects they will continue their private meetings all the way up until Kavanaugh’s final vote. Heather Kendall-Miller, an attorney with the Native American Rights Fund, told HuffPost last week that tribal communities are also extremely concerned about Kavanaugh’s record on climate change, voting rights and his views on states’ versus federal rights. Alaska Natives’ voices carry a lot of weight with Murkowski, who is currently undecided on how she’ll vote on Kavanaugh. She owes her re-election to them. The GOP senator unexpectedly lost her primary in 2010 to a tea party challenger. She responded by running as an independent, launching a write-in campaign and winning the race against all odds. Whose support didn’t she have? The Republican Party. Whose support did she have? 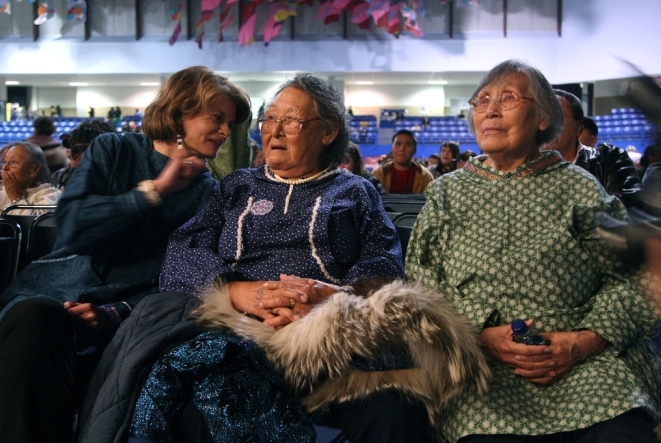 Alaska Natives, who turned out for her and helped fuel her victory. Murkowski spokeswoman Karina Borger said Tuesday that the senator is still vetting Kavanaugh’s background. “She will review additional committee documents related to the concerns identified by Alaskans as she continues to exercise her due diligence,” said Borger. Sullivan has already said that Kavanaugh has his support. Advocates for Alaska Natives have been flooding Murkowski’s office in recent weeks, presenting her with as much information as possible to help her back up a potential opposition to Kavanaugh. One Alaska Native attorney involved in these conversations acknowledged the personal cost that Murkowski could face if she votes against President Donald Trump’s court pick. “I think she will do the right thing,” the attorney added. UPDATE: Sept. 20 ― Alaska Gov. Bill Walker (I) and Lt. Gov. Byron Mallott (D) announced Thursday they they oppose Kavanaugh’s confirmation, adding yet another layer of pressure on Murkowski to vote no. In a joint statement, Walker and Mallott raise concerns with the sexual assault allegations against Kavanaugh and say there needs to be a thorough investigation into those claims before he gets a confirmation vote. They also say his record suggests he would weaken tribal protections, noting that that Alaska is home to 227 tribes ― nearly half of all tribes in the country. “Mr. Kavanaugh’s appointment could ... jeopardize the Indian Child Welfare Act, Alaska Native Claims Settlement Act, and other laws that enable tribal self-determination due to his overly narrow view of the relationship between federal and tribal governments,” they said. 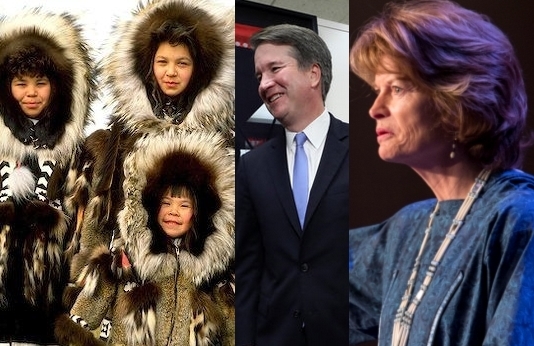 Responses to "Alaska Natives Press Lisa Murkowski To Reject Brett Kavanaugh"